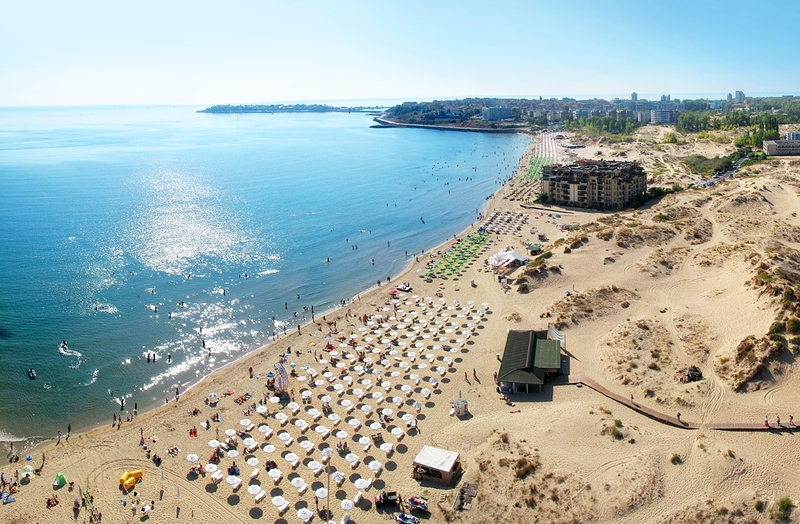 The new built hotel is 4 stars category and it is located in the south part of Sunny beach. Kavkaz Hotel offers three single rooms, 99 double rooms and 18 apartments. Each room has a balcony, TV, telephone, mini bar, air condition. Kavkaz hotel complex includes a swimming pool with cocktail bar, shopping centre, change office, hairdresser, fitness room, massage centre sauna.